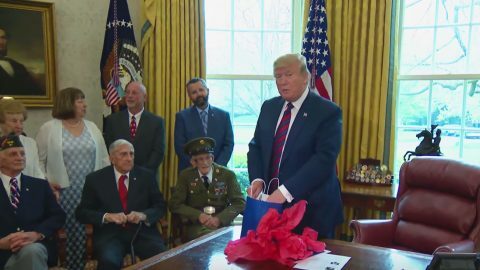 President Trump had a chance to speak to some World War II veterans at a Veterans of Foreign Wars convention last year and during one of those conversations agreed to host one of them in the Oval Office. When reminded of that almost a year later, he didn’t miss a beat and came through on his promise and also told the veteran to bring his friends. 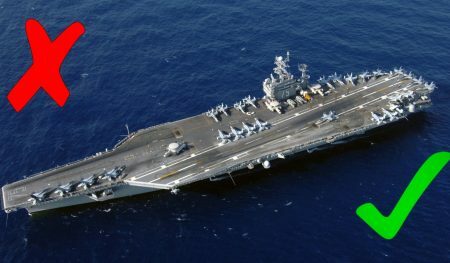 “I promised and I delivered,” Trump said at the beginning of the meeting. You can see the promise being made below. 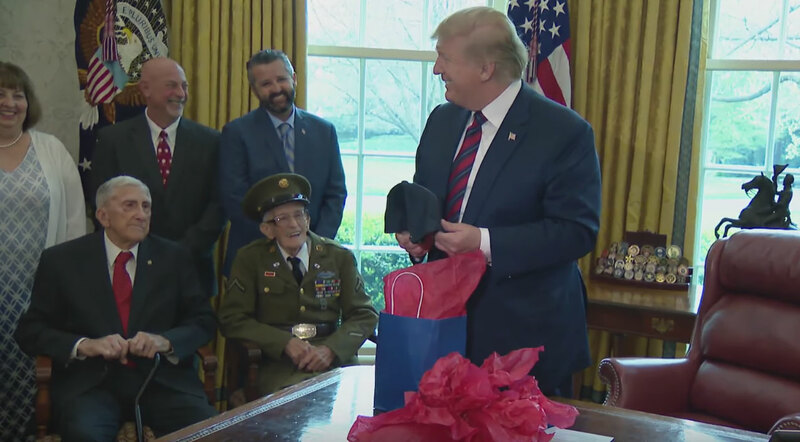 The guests in the Oval Office were 95-year-old Allen Jones (who requested the meeting as his birthday gift,) 100-year-old Floyd Wigfield, 100-year-old Sidney Walton and 103-year-old Paul Kriner. Their war achievements are many and you can hear their stories in the video below, but the conversations ranged from them their service to some really funny moments. “You don’t look a day over 90,” President Trump said to one of the veterans, with Allen Jones adding an anecdote about meeting the President for the first time. When they met at the convention, Trump invited Jones on stage and Jones immediately put his arm around him. “I thought the secret service was going to get me,” he joked. It seems like we’ll have to follow up on that story in a few months.